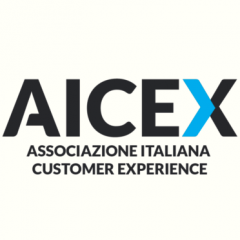 AICEX: Nonostante le critiche TripAdvisor introduce le review nel settore aereo. Fa riflettere. TripAdvisor has long been a destination for finding cheap flights, but this summer, it unveiled its biggest redesign in seven years when it introduced user reviews of airlines. The reviews will contribute to an airline’s overall “flight score,” which affects its position in search results. Airlines with higher scores will move to the top of the queue. With human attention spans shortening by the day, according to one U.K. study, winning the top spot is critical. But the value of customer reviews extends far beyond the travel space. According to Walker’s Customers 2020 report, 86 percent of consumers surveyed said that they were willing to pay more for a better experience, and 88 percent said they considered reviews a credible source of information — a belief TripAdvisor has reinforced by using reviews to rank search results. The message here? Businesses in all industries shouldn’t underestimate the influence of review sites. Since I started my company, I’ve had plenty of opportunities to claim success — and failure. We build pools in Arizona, arguably the most competitive pool market in the country. So, being viewed as the best is our only sustainable advantage. But, being the “best” and being “perfect” aren’t the same. The problem is that the digital world makes helping consumers understand that distinction increasingly difficult. Of the who-knows-how-many chances we might have to make an error with our business, we do so infrequently. But due to the structure and nature of review sites (and basic human psychology), consumers shopping for a pool builder may have a hard time sorting that out. To illustrate, I surveyed a couple of review sources. On Facebook, the day I conducted my search, Presidential Pools, Spas & Patio had 68 reviews: 45 were five-star reviews and 19 were one star. On Yelp, we had 40 reviews: 20 were five-star reviews; 14 were one star. This represented only a small fraction of our customers, and the reviews were largely polarizing. People aren’t typically compelled to write an online review unless they loved or hated their experience. This is the challenge of review sites. Although the evidence is anecdotal, statistically insignificant and scattered throughout the internet, it’s an information source on which consumers rely. Despite their efforts, all businesses occasionally make mistakes. So, don’t hide from yours. Instead, embrace and learn from them. We survey customers at the end of projects to gauge satisfaction. We ask them to rate our performance in 11 areas of service, on a scale from zero to 10. Our average in these internal surveys is 8.6. It’s not a perfect 10, but it does highlight the areas we excel in (e.g., quality of work, with a “9.5” average) and those in which we need to improve (e.g., scheduling, with an “8” average). Whether or not customers can communicate with a live person can make or break a business. According to PwC’s Global Digital IQ Survey, a large majority ( 84 percent) of customers get frustrated when contact information proves inaccessible, while 55 percent fall in love with a brand based on how easily support can be accessed. Often, customers leave negative reviews when they feel ignored. In fact, how customers feel they’re being treated determines whether they’ll buy from a company 70 percent of the time, according to a McKinsey study. People now use public channels as their first form of communication after a poor customer service experience. Many view it as their only avenue of recourse. For this reason, it’s important to stay in constant communication until a customer issue is resolved. Continuously strive to be the best by doing everything possible to make customers feel proud to have worked with you. Being the best also means nurturing and maintaining high expectations of talent so employees can wear your logo with pride, take their roles seriously and hold one another accountable. Again, perfection isn’t possible, but being the best is. Consumer-generated reviews are a part of doing business in 2016, and they’re not going anywhere any time soon. So, focus on delivering consistent quality and resolving any issues that may come up. That kind of strategy makes for the best marketing tactics on the planet.